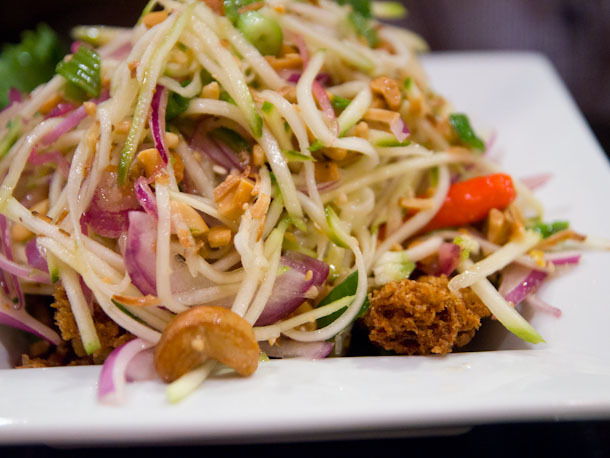 There are many exclusive Thai dishes which have not been exported out of Thailand. Therefore, there is little chance of you having tasted this in your city. A few of these unique Thai items are discussed here. Catfish Salad: This delicious dish is the favorite of royalty and seldom sold outside. In yam pla duk phoo the innocuous catfish assumes a new value as a great culinary offering that is relished by the king. The minced catfish is fried in hot oil to form crunchy little grains. 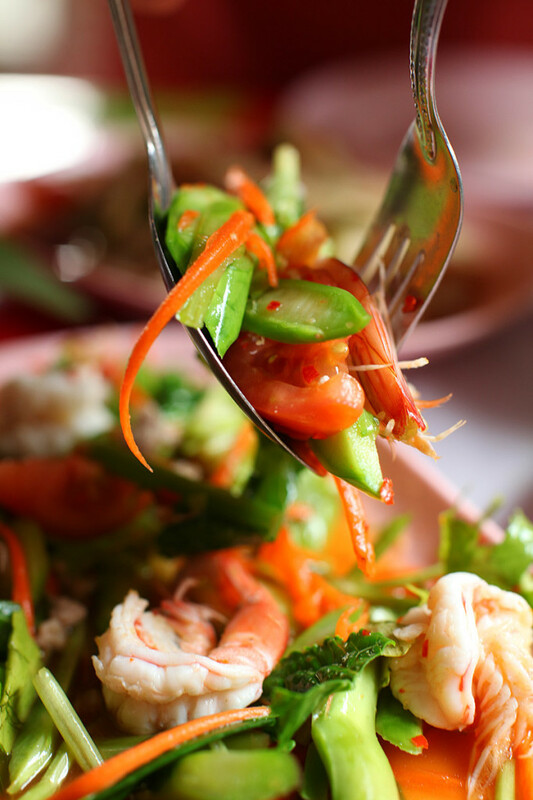 The fish is then mixed with lime juice and fish sauce along with salad ingredients to make it sour, salty and crunchy. Fried Swamp Cabbage: Swamp cabbage may not sound glamorous. Its Thai name is pak bung. Stir-fried with oyster sauce this is a delicious dish and raved over by all Thai visitors. 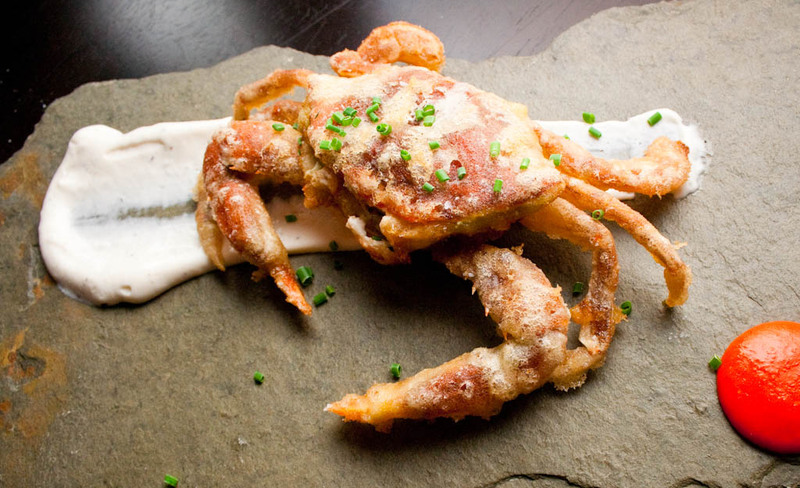 Fried Soft Shelled Crabs: This can be the quintessential Thai vegetable unlike the soft-shelled crabs in the United States. The shells of these delicacies are edible after frying and dipping in a sauce that is absolutely scrumptious. Poo Nim Thod: These tasty tidbits are common on the menu of seafood restaurants, particularly in Phuket. When you see poo nim thod as it arrives on the table looking like a fried spider, shed all reluctance to cast the inhibitions as this is a Thai treat worth trying. Sataw Beans Stir-Fried with Shrimp: Sataw beans are loved by all, despite the bitter taste of the beans. The admirers of this strange looking legume are the one time skeptics. Interestingly sataw beans, when stir-fried with shrimp makes a heady mix with the bitter tasting bean and shrimp combining deliciously. 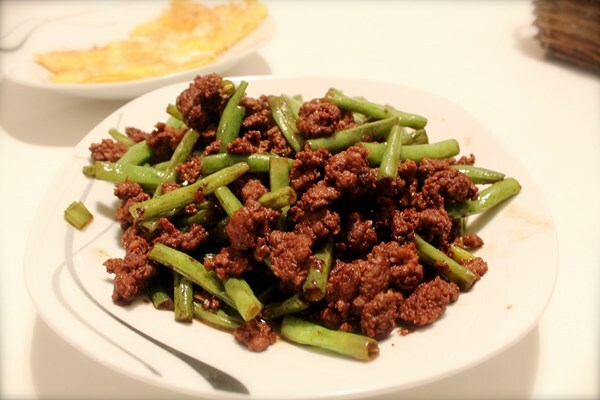 Minced Meat or Seafood Stir-Fried with Holy Basil: This is a great favorite with all visitors to Thailand. This dish can be made with any kind of minced meat or seafood. Minced beef is very popular. Holy basil or bai grapao is not very common in Western cuisines. I-Tim Ice Cream: Thailand’s cuisine is a fascinating jumble of ingenuity and creativity which is known to all. Its ice cream or I-tim is no different. Made without any dairy products this Thai ice cream has coconut milk as the key ingredient. The flavours can be corn, jackfruit, durian, or taro root and mixed with laht chong and a green noodle of pandanus leaves only to be found in Thailand. Grilled Bananas: Thailand has 40 varieties of bananas. They are eaten in mind boggling ways. The most readily available is kluay ping. 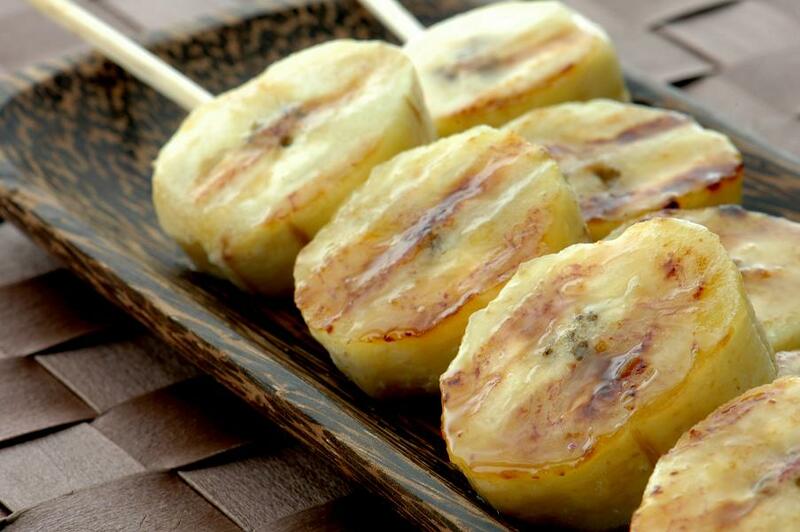 These are peeled bananas grilled on a barbecue. This Thai dessert is simple, direct and affordable too. You definitely need to make a trip to Thailand and visit an authentic Thai Restaurant to sample all these yummy items.